Comedian Bill Cosby did a wonderful show yesterday at the PAC in Tulsa and my husband and I were there. During his two-hour description (although likely exaggerated) of life as a grandfather and someone who is now one of the “old people,” he mentioned that he is now 73 years old. So, Mr. Cosby has almost lived long enough to find himself on the census. 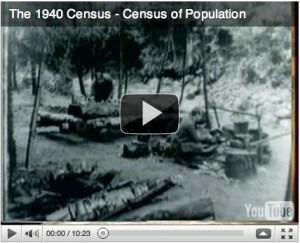 If you have been hoping to use the census to learn more about someone who, like Bill Cosby, was born between April of 1930 and April 1 of 1940, you will have your chance, beginning 2 April 2012, of using the United States Federal Census, taken 1 April 2012. The additional one-day delay is because 1 April 2012 falls on a Sunday. 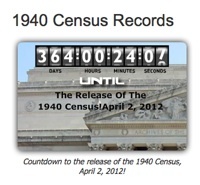 I will be writing more later about what you can expect — that the images will initially be released online instead of only on microfilm for instance — but for now you can visit the National Archives website for more information — even a countdown (the image I’ve pasted here was the countdown as of 4 April at 8:35 am). Constance Potter, Archivist, has written about the release, here and in a Prologue Magazine article online.